A soil test performed by a laboratory will give you solid information about the soil in which you’ll be growing vegetables. A lab test can provide facts about texture, pH, nutrients and salinity. There is little you can do to easily change the texture. Most West Texas soils are somewhat sandy but heavily composed of limestone which was deposited, according to the experts that spend a lot of time figuring out this kind of stuff, millions of years ago. It’s going to take a little time to improve the soil and this is done by amending the soil with organic material and growing plants in it. Please note that soil texture can’t truly be changed without digging all of the soil out and starting over with lots of new soil from some alluvial mineral rich deposits from flowing water source and that’s simply not practical in most situations. The solution is to incorporate lots of composted organic material. For now, let’s just stick to a few foundational reasons to start you garden with a soil test. Soil pH is a measure of soil acidity. Soils with a high pH are called basic and are common in the Permian Basin. Alkaline soils, those above a pH of 7.0, tend to tie up iron, manganese and zinc. The higher the pH, the greater the reduction in the availability of these nutrients no matter how much of each nutrient is in the soil. Iron is a particular problem in West Texas. Iron, a primary component in chlorophyll, is important for the development of healthy and productive vegetables. Soils with high concentrations of salts are called saline. Soil salinity builds up over time as a result of irrigation with salty water. Plant roots may be unable to take up moisture in saline soils. In fact, plant roots occasionally lose moisture in soils with high salt concentrations. The result is poor development and sometimes death of the entire plant. 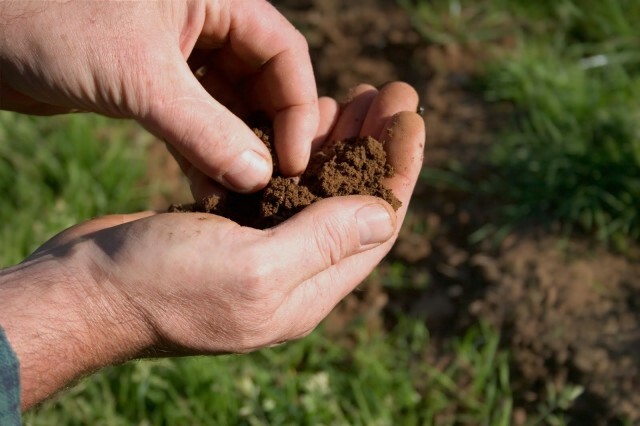 Begin your gardening with an understanding of what kind of soil you have by getting it tested. Read the full story via GARDENING: Soil testing saves time, effort – Odessa American: Gardening.